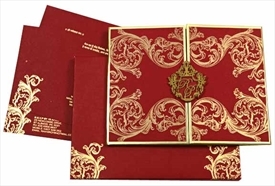 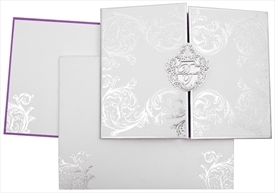 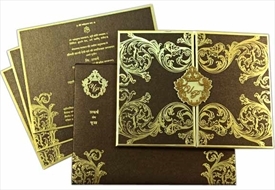 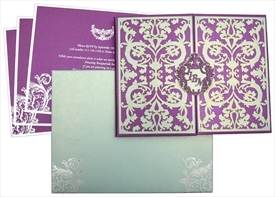 Gold shimmer paper (250 gsm) for main card top and back pasting, inside 3-fold interleaf, pocket, 2 inserts top layer and mailing box envelope. 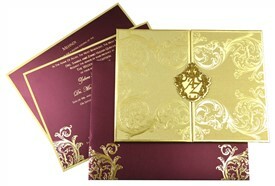 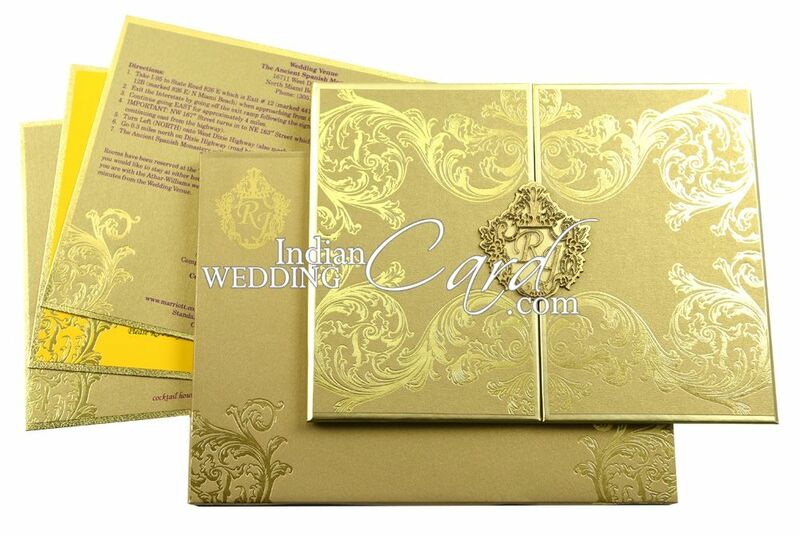 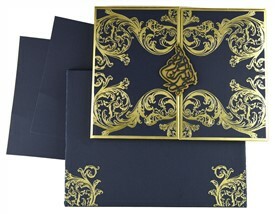 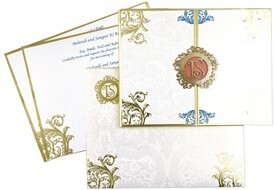 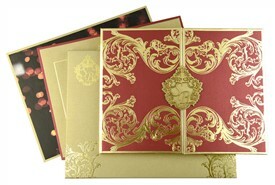 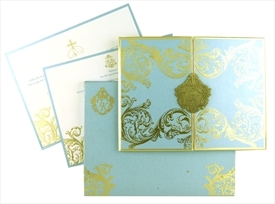 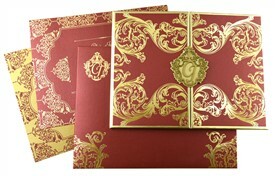 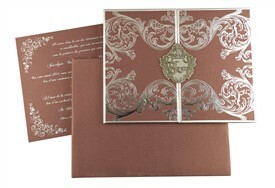 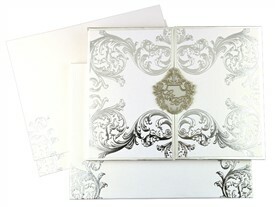 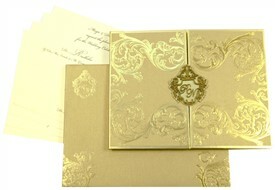 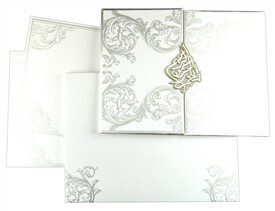 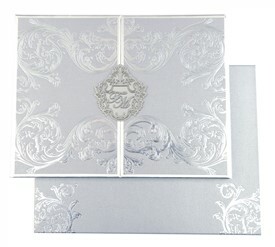 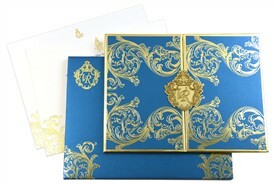 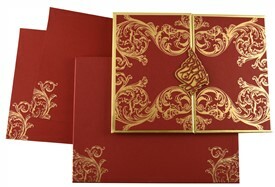 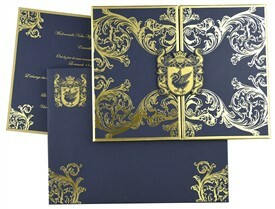 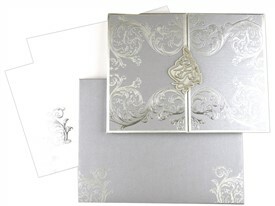 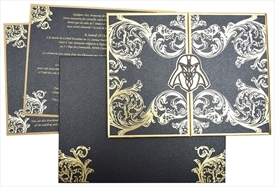 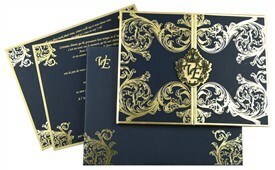 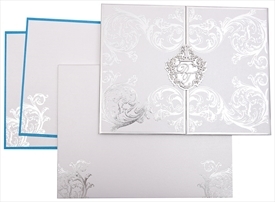 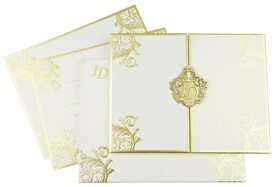 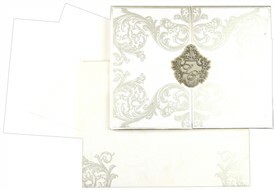 Gold foil paper (250 gsm) for main card covering, 3 inserts base layer and inside pasteup of mailing box envelope. 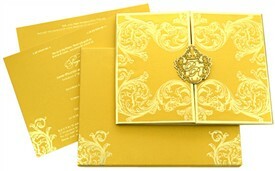 3rd insert on yellow shimmer paper (250 gsm). 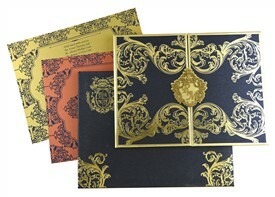 Silk Screen in dark colors as required.